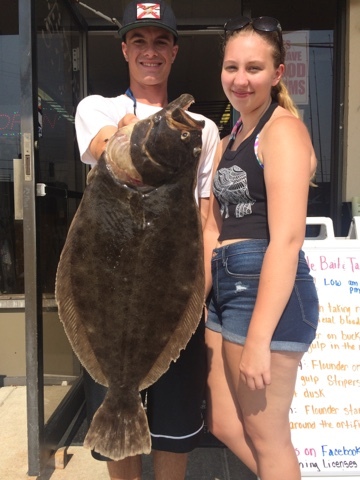 Nice flounder continue to come in from the Back Bay. This one tip the scales at just over 4 pounds. Live minnows have been the bait of choice.